Happy Friday! 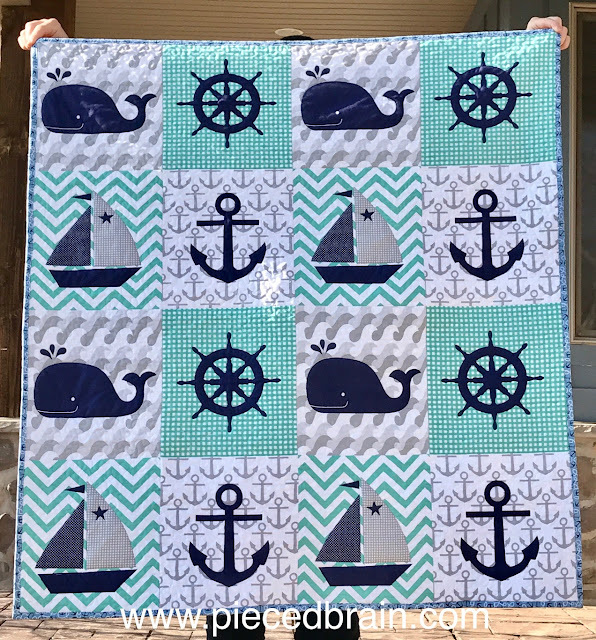 I have a finish for this week - it is a quick quilt from a panel - and I am calling it my Alex Quilt because it is for my grandson Alex. It measures 42-1/2" x 45-1/2". 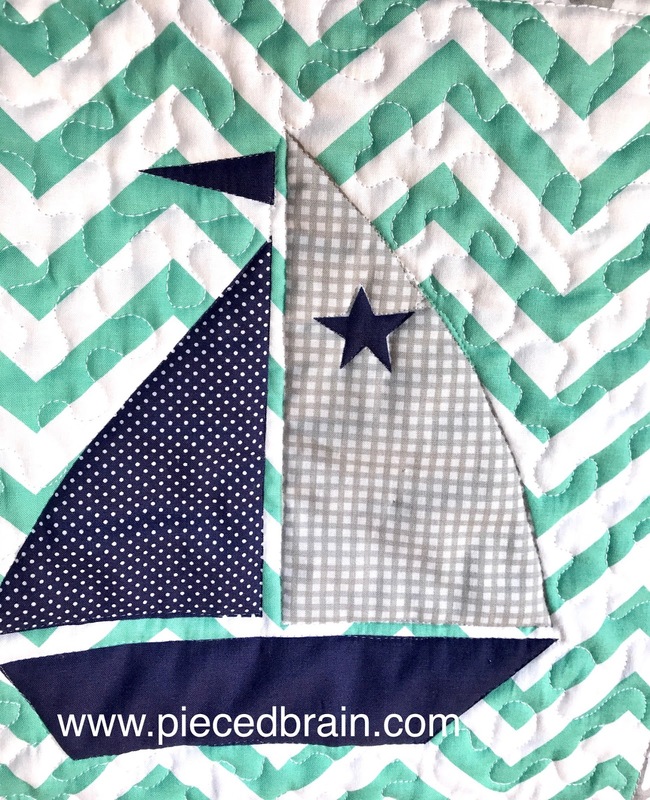 This is Clothworks' 2015 Nautical Treasure panel by Ellen Crimi-Trent [Thanks, Clothworks, for reminding me!]. I squared it, made a quilt sandwich, quilted it, and bound it. That fast! Sometimes we need fast projects like this, right? I love the colors (navy blue, teal, gray, and white) and the textures. A perfect combination so I just added meandering quilting. The backing is by Riley Blake - can you believe I had this fabric in my stash? I used it for the binding, too. And just like that, his Christmas gift was done. If you are running out of time to make Christmas gifts and has no panels, above is a fast quilt pattern called Two Step which can be downloaded from Annie's Catalog. It would be striking with Christmas Prints, novelty, florals or solid colors, too. 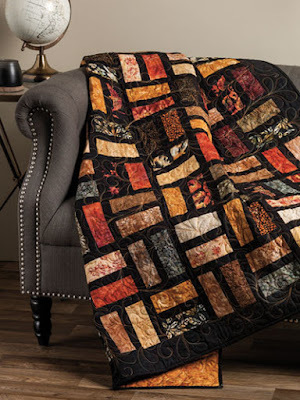 One more thing: Fat Quarter Shop has 50% off all quilt kits today. OMG!!! 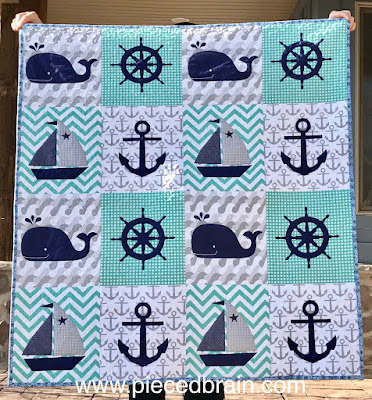 What a sweet quilt for your grandson. Very cute. I would never think that is a panel quilt. It is very cute and perfect for a Alex. I know, right! I think he will like it! Thanks for the link to the Two Step pattern. LOVE the Alex Quilt!! I'm a big fan of anchor anything.